Fishing has long been held as a traditional mainstay of the United Kingdom and continues to be relied upon by commercial fishermen as well as enjoyed as a recreational sport. An increase in government legislation concerning fishing has resulted in a need to conserve and sustain fish populations; therefore it is essential that fishing activity can be tracked, recorded and managed effectively. Weighing fish can provide information about diet, environmental conditions, and even fish population sizes – proving useful for conservationists and recreational anglers alike. 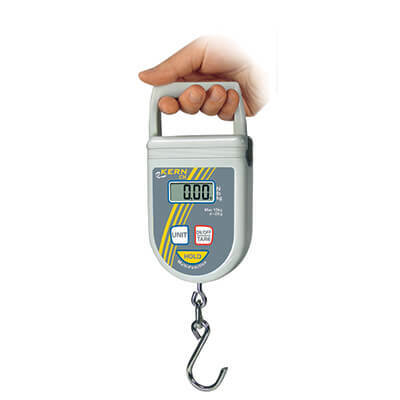 Whether you fish commercially or for sport, you should use accurate weighing instruments to determine fish weight. This article will examine the importance of fishing scales, how they are used and provide tips on choosing the best scale for your needs. What is a fishing scale? Fishing scales are used to determine the weight of fish and include stainless steel weighing pans for commercial selling or hooks that can be attached to a single fish's gill plate for more secure weighing in competition environments. They typically offer water-resistant casing and allow for easy cleaning after use. Most waterproof washdown scales or hanging scales are suitable for weighing fish; the type depends on the size and quantity of fish you plan to weigh. Fishing scales including washdown scales and checkweighing scales for selling fish by weight, are commonly used by fishmongers and commercial fishermen who supply retail market chains and other vendors. Competetive anglers rely on hanging scale varieties to weigh the fish they hook, while recreational fishermen use scales to measure what they catch, ensuring the fish don’t exceed size restrictions. Conservationists and hobbyists may also require scales for weighing chemicals used to treat fish ponds and aquariums; for example, in ponds of koi carp accuracy is very important to prevent overdosing and fluctuations to water nutrient and PH levels. Make sure you have a reliable hook/ hanging scale. Select the unit measurement on the scale. Grasp the handle at the top of the scale, and attach the hook under the scale. Test the scale by lifting an object with the attached hook. Hold the fish by its mouth and attach the hook to the gill plate (under the mouth). Slowly lift the scale and record the weight displayed. Carefully remove the hook from the gill plate. Fish-weighing scales are required when selling fish by weight commercially, and can be sold by net weight which examines the produce within the packaging, or by gross weight if the container falls within certain weight limits. It is seen as the responsibility of a registered buyer or seller to ensure fish are properly weighed and that appropriate records are maintained. In the United Kingdom, commercial fishers are required to register with the Marine Management Organisation (MMO) before selling fish commercially for the first time (first-sale fish). In recreational fishing competitions, “weigh-ins” help determine the variety, rarity, and weight of a competitor’s fish. This information helps establish contestant ranking and determines placement. Digital scales provide accurate weight readings that are recorded and given a score based on total weight of the fish. Anglers commonly use “catch-and-release” weighing nets. These devices allow them to accurately find the weight of the fish without risking injury to the fish from excessive handling. Different kinds of fish have different weights and sizes, which is why it’s important to “compare apples to apples.” The size and weight of each fish are compared to the average measurements of the same type of fish. For example, let’s say the average weight of Atlantic salmon is 26kg. In competition, you catch an Atlantic salmon weighing 28kg. You’ll probably score more points based on weight than a competitor who catches a rainbow trout weighing 10kg, when the average weight is 12kg. Certain competitions allocate points for considerations other than weight. This includes length and rarity in order to attribute points and is decided on a ‘per competition’ basis. Please visit the Angling Trust for more information on fishing standards and competitions. 1) How do you intend to use the scale? If the scale is used for commercial selling by weight then you will need to ensure the scale is trade approved, has a high weighing capacity and large pan size to weigh large amounts of fish all at once. 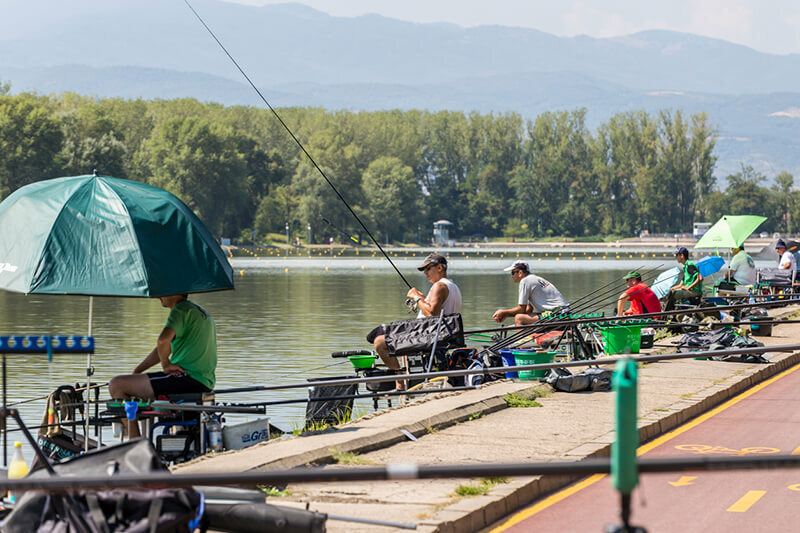 Alternatively, if you fish recreationally you will likely need a more practical scale that can be used on a lake or riverside with ease, in this case, a hanging scale may be a better choice. 2) How often do you intend to use the scale? If you intend to use the scale frequently then it best to invest in a more expensive fishing scale that can withstand rigorous use and comes with additional features to streamline the weighing process. If you plan to use it occasionally, a cheaper, multi-purpose scale may be more useful. 3) How much are you willing to spend? It is important to consider how much money you are willing to spend on a scale and whether you are in a position to buy the scale you need. We recommend waiting to buying a scale if it cannot fully meet your requirements as it is likely that at some point you may need to buy a replacement. Fish-weighing scales are usually easy to clean and have washdown capability. Commercial fishers are required to register with the MMO before selling fish. Throughout the weighing process, it is important to consider the well-being of fish. Scales are used in fishing competitions and retail for recording the weight of fish accurately. Kern's CH hanging scale comprises of robust waterproof casing and an attachable hook for suspended weighing. The hook can be attached under a fish's gill plate for more accurate and secure weighing. Ideal for hook weighing large fish such as karp, tuna or salmon. The 281 sping balance manufactured by Kern is a portable pocket-sized scale for convenient weighing. The 281 is a lightweight alternative to the CH hanging scale and can be used for weighing smaller, more delicate fish by using the small hook attached. 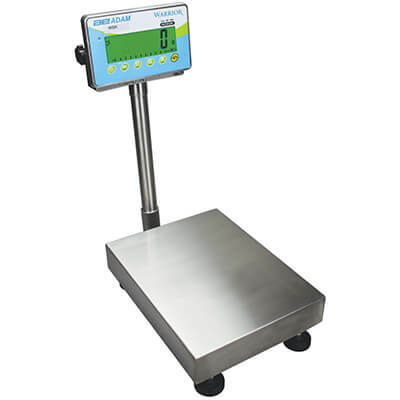 Adam Equipment's WBZ washdown scale is a robust weighing scale with waterproof casing and a stainless steel weighing pan that is both versatile and easy to clean down after use. 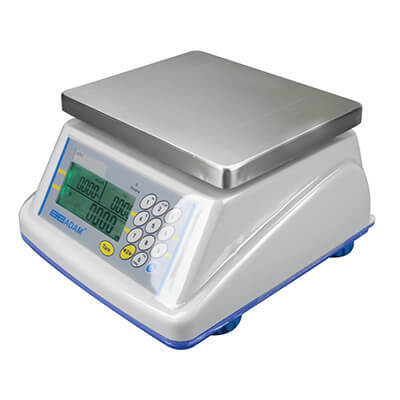 The WBZ is a trade approved scale and can be used for selling fish by weight commercially. The Warrior is a an IP66-rated waterproof washdown scale manufactured by Adam Equipment featuring a large stainless steel weighing pan with a high weighing capacity. The Warrior is a highly accurate and reliable scale that can be for weigh-ins within fishing competitions.